We found 10 episodes of Climactic with the tag “sustainability”. Mark has a chat with animal educator and mobile zoo operator Josh Cox, about his passion for maligned animals, educating kids about habitat loss and climate change, and creating better humans. Lake Knox is a deep-water lake in the eastern suburbs of Melbourne, and is the habitat of an endangered species. The community is trying to stop development plans for the lake site, and in this episode you'll learn what they are trying, why it's important, and hopefully learn some lessons about how you can take action yourself in your own area. Shannon is a young man who'd had enough with Australia's lack of action on climate change, and has made the decision to walk up to the counter to complain. And by counter, we mean the capital. And by walk, we mean walk. 700 kilometers. 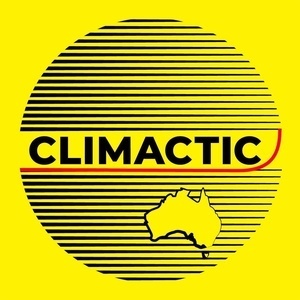 Climactic celebrates it's half-century with a fun, fascinating chat with Wiebe, a young man from the Netherlands who travelled through thirty-three countries in a decade-old electric car, using only the generousity of others. Bronwyn talks to Holly Hammond, and of course the conversation turns to self-care, but this time Bronwyn is able to learn from a self-care expert, and self-described "care bear" of the activist community. The Climate Reality Project Australia and Al Gore are headed to Brisbane to train people like you, yes you, in the Climactic community, to #LeadOnClimate. Friday, the 15th of March, 2019, will see 50 school strikes across Australia, and many more across 78 countries. They're shaping up to be the largest united protests in history. So, in this special we hear from the organizers of these historic strikes, and from the wider community about what these strikes mean. This episode is a great chat with a Geelong businesswoman, Jackie Matthews, who's business Scrap Solutions is confronting the recycling crisis head-on. Learn more about how the world of recycling works, at this vital time where we need a fix to how we treat waste. Norway's state oil company Equinor has the greenlight to drill in the Great Australian Bight, in some of the world's roughest seas, and at extreme depths. The locals and lovers of the Australian coast have said no, and sent strong messages of their disapproval with events all over the country. Here's an on the ground report from the Paddle Out at Torquay.